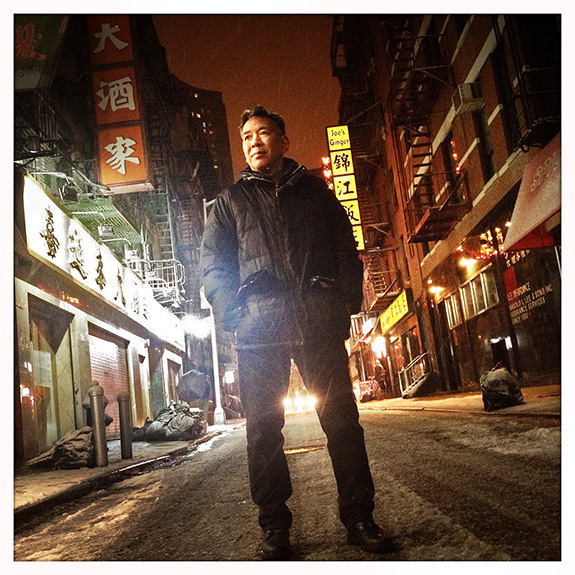 “I was a college student during the bad old days in Chinatown, when mainstream media offered only lurid and racist misrepresentations of my neighborhood and its hard-working immigrants.” During those years, writer and poet Henry Chang commuted uptown by day, immersed in the academic world of theory and revolutionary politics of the 1970s, and then returned home at night to a working class neighborhood plagued by violence, where the stories he overheard in pool halls and bars and gambling dens would become his lifelong theme and inspiration as a writer of crime fiction. Henry grew up on Pell Street and still lives around the corner from his childhood home. At 64, he is surrounded by people he has known all of his life, and a community of artists and writers that has expanded over the years. Continued immigration and neighborhood changes have also transformed the world of organized crime featured in his fiction. “Chinatown gangland changed over the twenty years it took for 'CHINATOWN BEAT' to get published. Along the way, I wrote poems, essays, short stories and screenplays, watching the Chinese community spread out to Queens and Brooklyn. By the time my fourth crime mystery was published, I'd included the stories of those Chinatowns as well.” That fourth novel, DEATH MONEY, was published in 2014, and Henry is currently working on book number five in his Detective Yu trilogy.